Reputation can be defined as other people’s perceptions of a person’s character. In the realm of digital space, including social media, reputation is built on 1) the content a person produces or shares (tweets, blog posts, photos, videos, …) and their interactions with others (digital footprint) and 2) what others share about a person (digital shadow). The terms digital footprint and digital shadow are coined by Eric Qualman. This post is about some of the benefits I’ve personally received by having an intentional digital presence through my blog, twitter, linkedin, instagram, pinterest, goodreads, slideshare, and facebook. When I joined the social media platforms I mentioned a few years ago, I could never have imagined the folks I would meet which led to professional collaborations and opportunities that have come my way. I’ve also developed some friendships along the way. I share the following list to illustrate how a person such as myself who, in my opinion, is no different than most folks in my professions (student affairs, higher ed IT) can benefit from having a positive presence online. Elected as NASPA Technology Knowledge Community Chair (2017-2019). Hired as consultant by two universities to lead an external program review team. Co-present sessions on social media at a couple of conferences. Invitation to NASPA Technology Summit in Washington, DC. Invitation to contribute an article on NASPA Leadership Exchange Magazine. 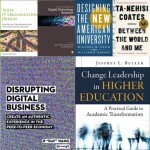 Invitation to co-author a chapter on Student Affairs technology. Accepted as an assessor to a UC Leadership program based on my blog posts about leadership. Invitation to speak to student affairs grad students on digital reputation. 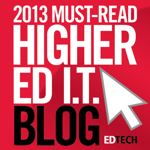 Invitation to be a guest on a podcast to talk about student affairs technology. Opportunities to speak on digital reputation and alternative professional development for multiple groups at UCSB. When folks including my Vice Chancellor for Student Affairs, our campus CIO, my colleagues, students, my family and friends, and other professionals I respect follow me on social media, I better be consistent and honest with what I share. Be kind in how you relate with others. Even when I’ve disagreed with other folks, I always try to maintain respect as I would like to be treated with the same kindness myself. One of the limitations of social media is that one does not get the full context of what is being shared or how a person may act. Aim to provide value to others. With my blog, I started primarily writing about my personal and professional interests. I’ve found my blog as a way to release my frustrations related to my experience as a person of color and share my visions of what I think student affairs and technology may hold in the future. While I still primarily write for myself, I’ve found that others do relate to the topics I write about. I get messages from folks who tell me how a blog post prompted them to re-frame their thoughts or how they can relate to my experience, specifically about racism and discrimination. Another way I’ve found myself to be of value is by connecting folks from different circles of my life. Just like I do in conferences or parties, it’s fun to be able to introduce friends and colleagues who may share interests and then gently step away so they can have the space to continue the conversation themselves. I do have some missteps from time to time and I don’t always follow my principles, I’m human after all, but I do strive to apply the principles I mentioned above. I hope my post has convinced you (if not already) that building/maintaining a positive digital presence do have some benefits. Please let me know if I could provide you some ideas on how to get started. How about you? How are you managing your digital presence and what principles do you use? The last definition, holistic development, is the idea that a student develops as a “whole person” and they include multiple dimensions. These dimensions include development in the following areas: intellectual, emotional, social, ethical, physical, and spiritual. 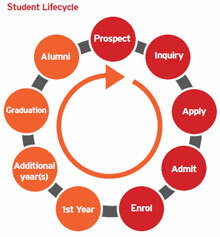 Academic and co-curricular programs, student services, enrollment management services, and other administrative services offered by higher ed institutions are aimed to support and promote student learning, development, and success.Throughout the entire student life cycle from prospect to alumni stage, technology is used by staff and faculty to communicate and engage with student and for administrative operations and technology is used by students for activities inside and outside the classroom as well. While technologies have changed and new ones have been introduced since 2002, the general categories as described above are still applicable today. Applicants are able to 1) view the status of their application, including personalized messages and a checklist of the steps to enrollment, 2) submit an SIR (Statement of Intent to Register), with eCheck (ACH) payments, and a trigger to creation of the student record, 3) update personal information, and 4) navigate to different web sites outside of Admissions (such as Statement of Legal Residence and Financial Aid Status) without having to re ‐ authenticate. Counseling Center and Student Health Service uses the Electronic Medical Record for client/patient scheduling, reporting, case notes, client surveys and holistic student healthcare. The system is also used for practice Management, electronic health records (EHR), medical claims processing, insurance management and reporting. The ‘Transfer Evaluation and Articulation System’ is part of a suite of ‘Progress to Degree and Advising’ applications. It is used by Admissions’ staff to apply UCSB transfer articulation rules to incoming coursework, to evaluate the coursework as transferable or not, to adjust or limit unit amounts, to set course indicators and attributes, such as repeats and honors, to apply courses toward General Education requirements as exceptions, and to produce a ‘New Student Profile’ audit report (using the DARS ‘Engine’ (see ‘Darwin’) behind the scene) and archive it as a snapshot of the student’s status toward General Education and University requirements completion at the time of matriculation. 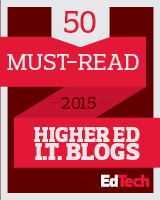 TEAS is mostly commonly known for creating New Student Profiles and Credit Memos. The My Aid Status Financial Aid Portal allows students to manage their financial aid, including viewing their FAFSA status, downloading dynamically ‐ generated documents required for processing financial aid, viewing their award letter, accepting student loans, viewing the history of disbursements from the billing office, and printing Federal work ‐ study referrals. 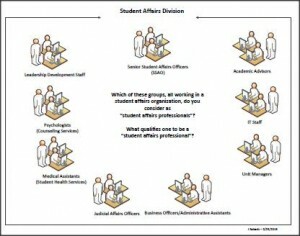 This system is the staff/faculty counterpart to the online student application. This system is used by academic department and Graduate Division staff to administer applications, and by faculty to review and score incoming applications. Using this application, department staff can modify applications, categorize and otherwise prepare applications for review by faculty, and submit application decisions to Graduate Division. AppReview also supplies the administrative capabilities for department staff involved in financial recruitment offers. Such features include nominating applicants for the Central Recruitment Fellowship Competition, reviewing award results for the same, and reviewing NSF Extension awards. Graduate Division staff use this application to process admissions decisions, review/approve admissions exception requests, manage/reconcile application payments, and review fee waiver requests. Gaucho Online Data (GOLD) is used by over 22,000 current and former UCSB students, and provides them the ability to: view their schedules, important deadlines, messages, grades and academic history; find and register for classes; manage their enrollment on course waitlists; update contact information; view new student profile and transfer credits; perform automated progress checks and degree audits; order official and unofficial transcripts. A more comprehensive suite of information systems are found in Student Information Systems & Technology Information Systems Portfolio. Moving forward, the effective use of digital technology in student affairs must take into account the changing demographics of the students as well as the staff and faculty and their needs and expectations of how they use technology and the availability of services offered by institutions. 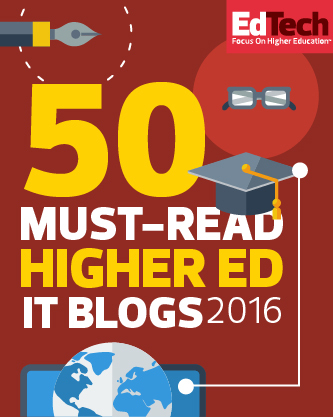 With social media, cloud, mobile, wearable computing, and internet of things, students and staff are now expecting technology to provide them access to their information anytime and anywhere. Student affairs practitioners,higher ed staff, and faculty in general must develop technology competency, like the one offered by ACPA and NASPA as part of the Professional Competency Areas for Student Affairs Educators to utilize the benefits offered by technology in ways that are ethical and secure . Senior Student Affairs Administrators and other campus administrators must be play a more active role in managing and leading the use and investment of information technology. 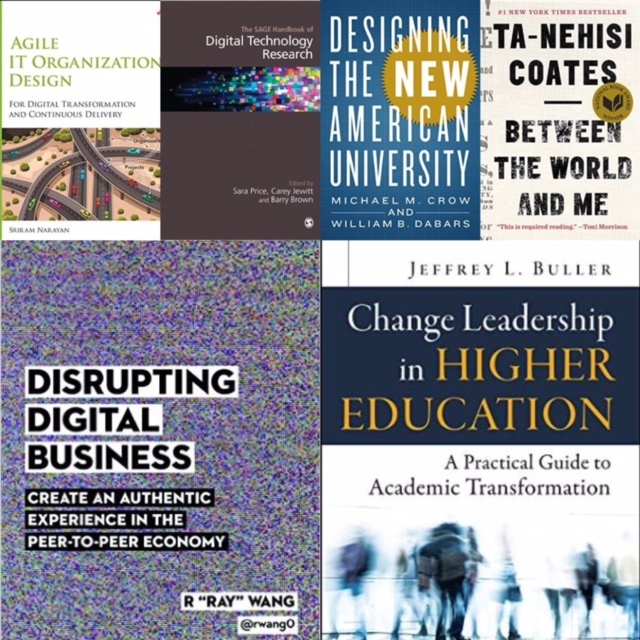 Research and scholarship which reflects the realities and possibilities of the digital world of higher education, including this dissertation by Dr. Josie Ahlquist Developing Digital Student Leaders must also drive and inform student affairs practice.